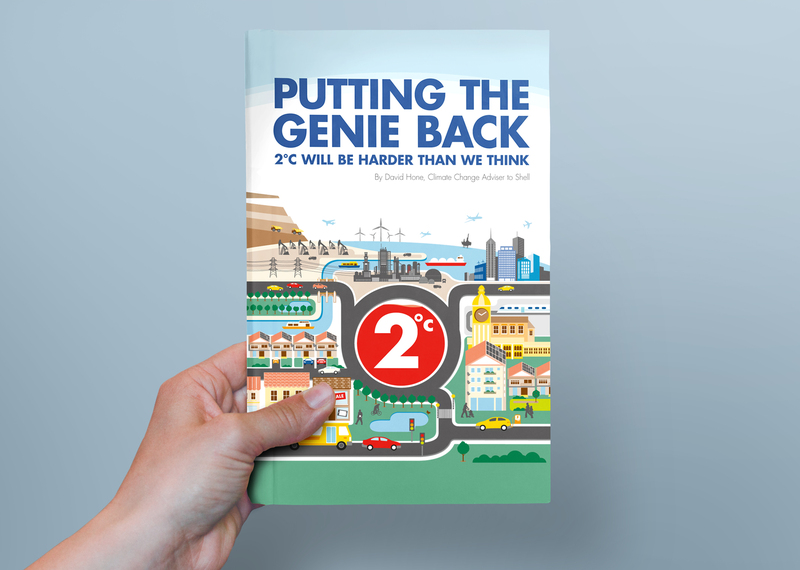 Illustration for the book cover ‘Putting the Genie Back: 2°C Will Be Harder than We Think’ by David Hone. 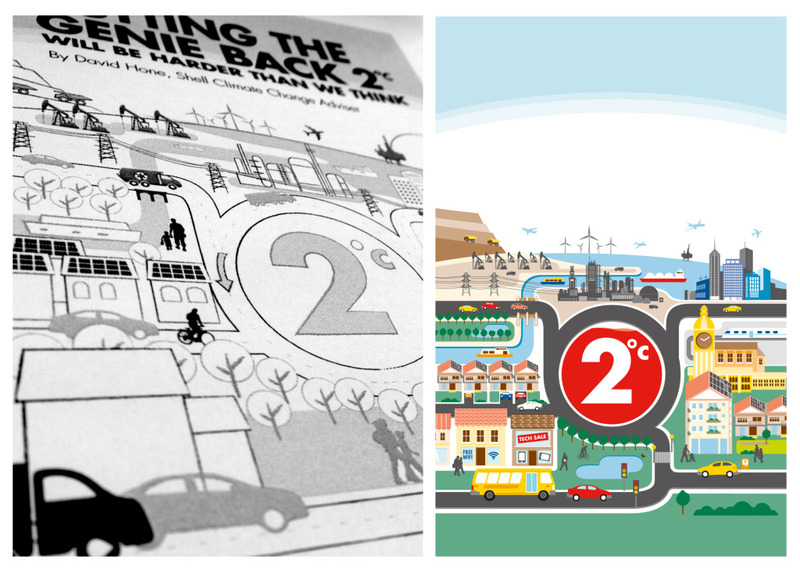 The illustration was created to show how we are all somehow connected to climate change. 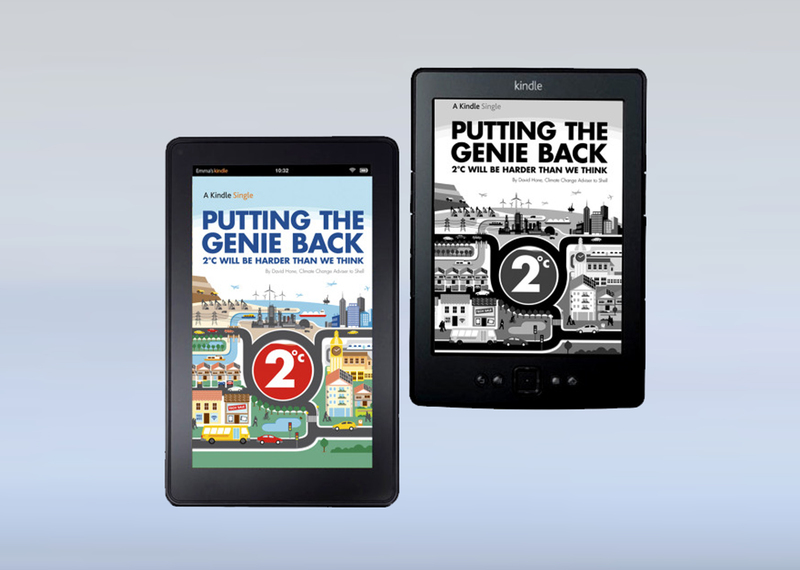 Colours were kept within the corporate guidelines but also works well in greyscale for the older kindle devices. 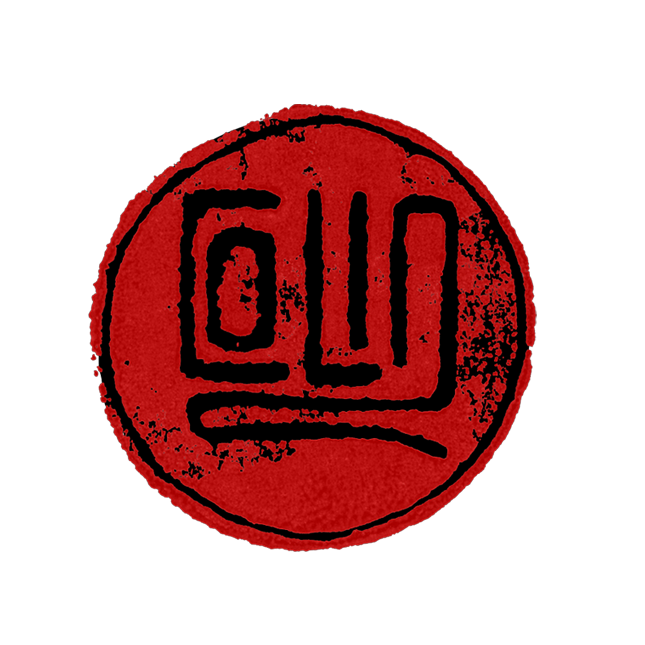 Also works well as a thumbnail size when previewed on Amazon.